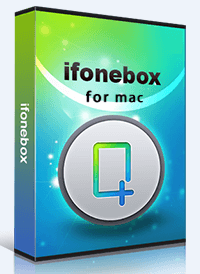 iFonebox for Mac is a professional and powerful iOS data recovery software designed to restore Mac user’s iOS Device data lost due to accidental deletion, factory reset, system crash, jailbreak failure, device damage, device loss and etc. What iOS data can iFonebox for Mac recover? Which iOS devices iFonebox for Mac supported ? iPhone 5S/5C/5/4S/4/3GS, iPad air/mini/mini2/3/2/1, iPod touch4/5 ,etc. 1. Pretty easy to use: Retrieve data within only 3 simple steps, Select—Scan—Recover; and no prior recovery experience required. 2. Safe, Effective Recovery: 100% safe. Read-only, risk-free, iFonebox for Mac program works without any damage to your data. 3. Preview before Recovery: Don’t want to recover all found files? iFonebox for Mac enables you to preview from the scan result to recover what you want. 4. Selectively retrieve files: Selectively recover, rather than the whole from iTunes backup files. This is not supported by iTunes. 5. Recover7 types of data directly from iOS Device: include Contacts, Messages, Call history, Calendar, Notes, Reminder, Safari bookmark. 6. Retriever11 types of data from iTunes backup: Text content: Contacts, Messages, Call history, Calendar, Notes, Reminder, Safari bookmark; Media content: Camera Roll, Photo Stream, Message attachments, Voice memos. 512 MB physical RAM (memory) or above.